I have been working on a new fuller bodied crow decoy pattern. Here is a the first rough carving using it. Do you have any old wooden crow decoys or carved wooden crows? If you do, I would love to hear about them. 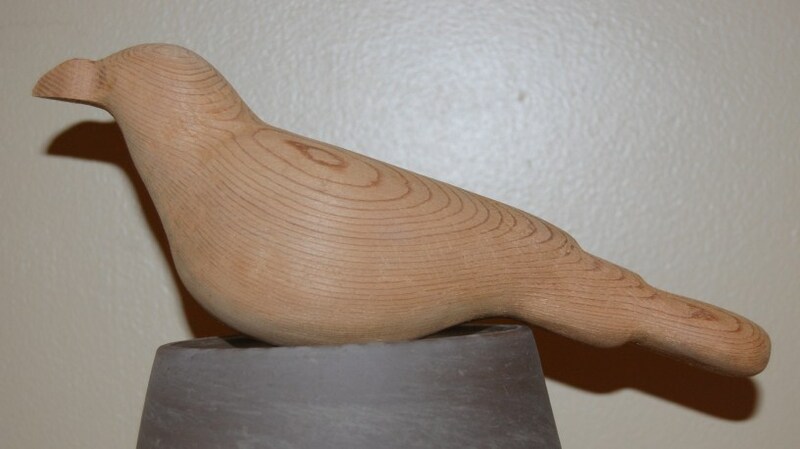 This entry was posted on May 2, 2010 at 2:59 am and is filed under Carving, decoys, Woodworking with tags carving pattern, crow decoy, woodworking pattern. You can follow any responses to this entry through the RSS 2.0 feed. You can leave a response, or trackback from your own site. That is the coolest chicken I’ve ever seen! And you know how I feel about chickens. Coming from you Kevin, that means a lot.